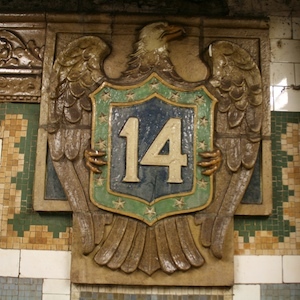 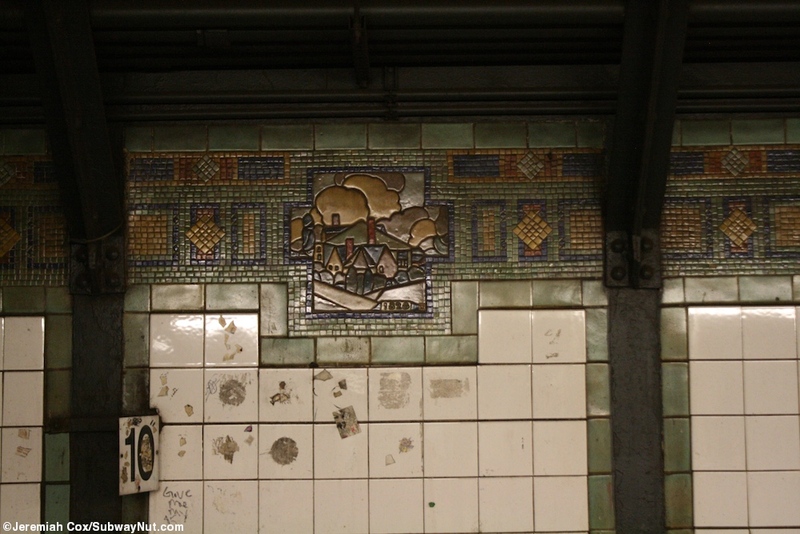 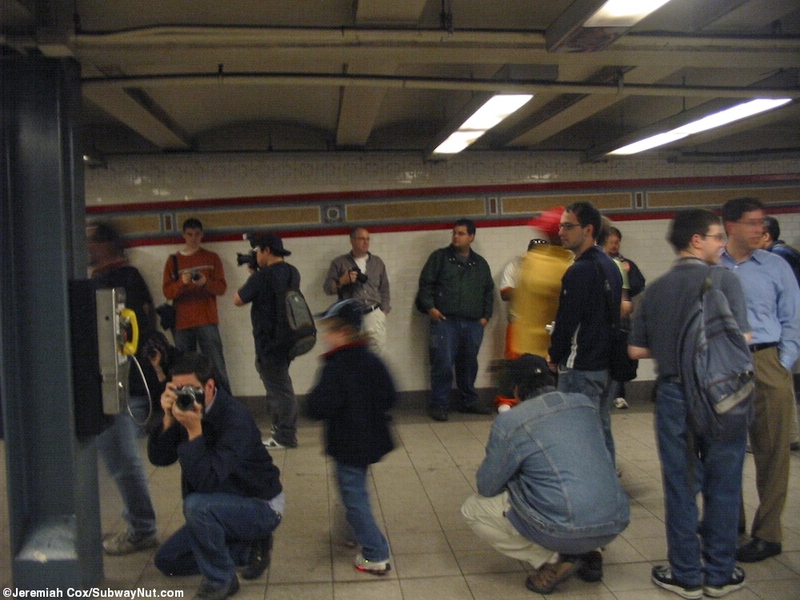 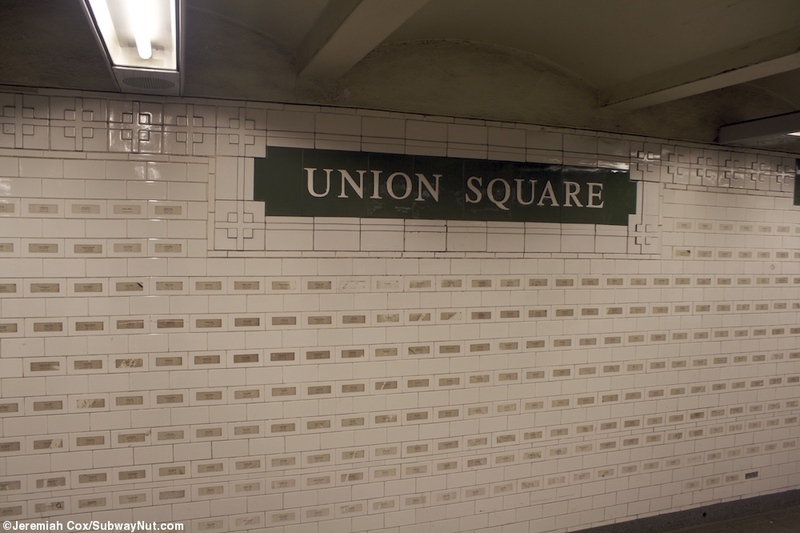 The N,Q,R platforms at Union Square consist of two island platforms for the four track line with the walls of the local tracks with little mosaic tiles typical of the BMT and depictions of the junction of Broadway and the Bowery Road, 1828. 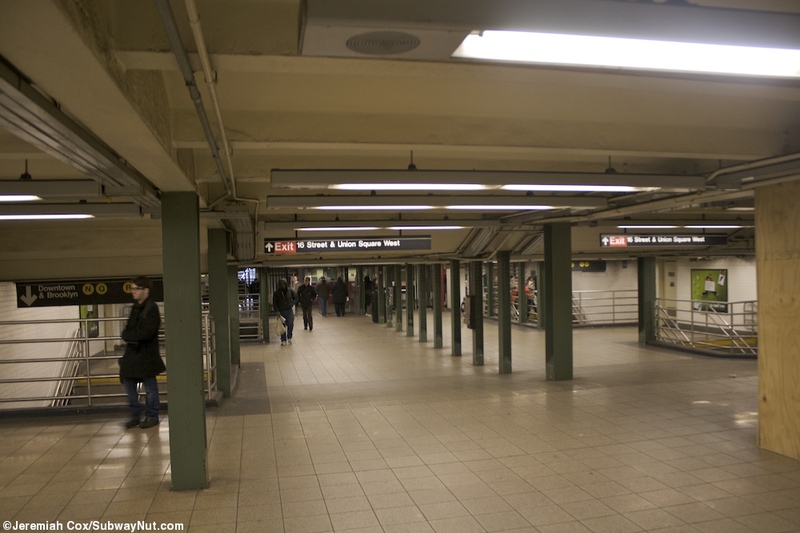 These platforms have a line of green columns and what is a full-length mezzanine above although they're not consistently staircases up to it like in an IND station. 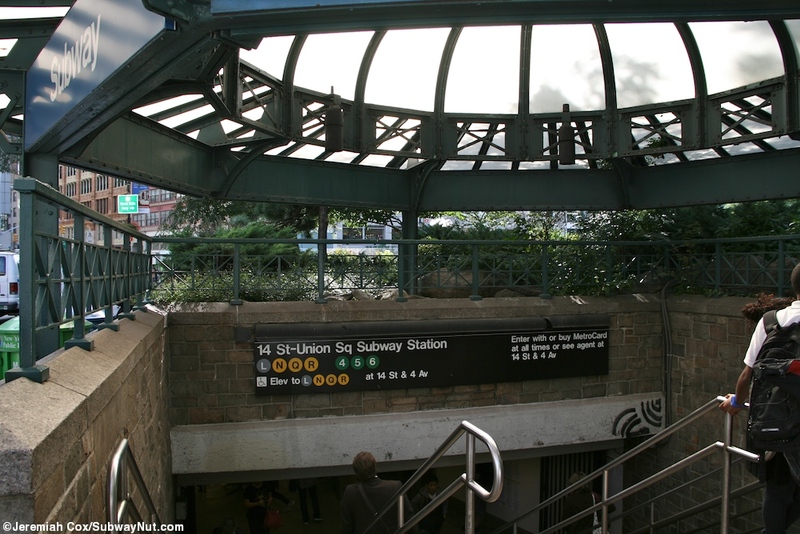 Starting from the southern end of the platforms each has a staircase straight down to the island platform of the L Canarsie Line beneath with each curving on an intermediate landing and becoming a bit wider. 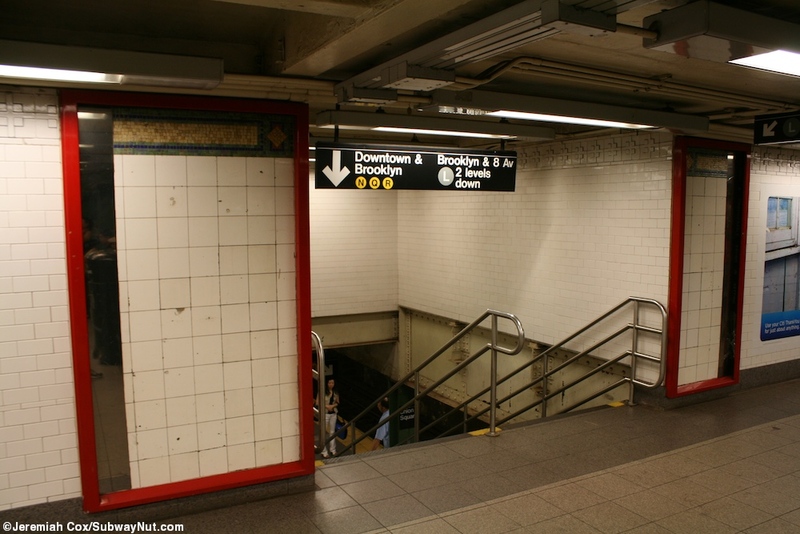 Soon there are staircases up to the long mezzanine and this is where all other exits are. 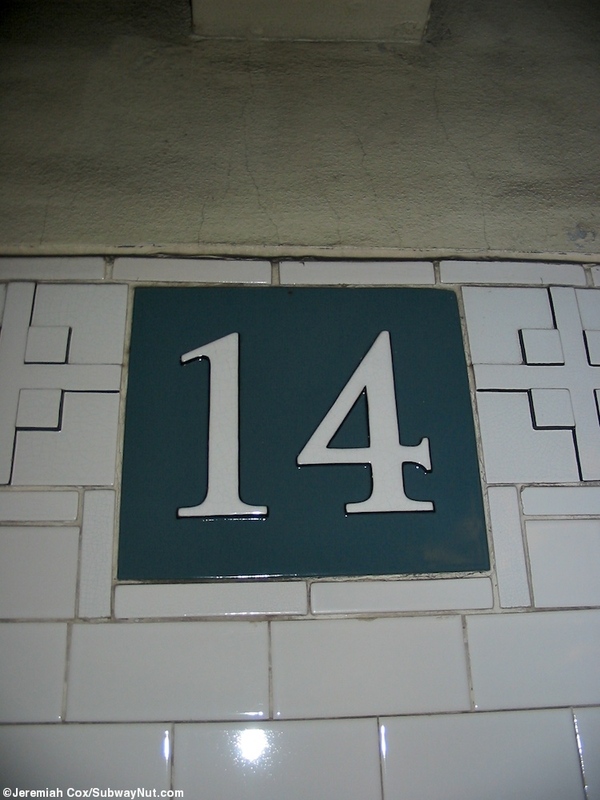 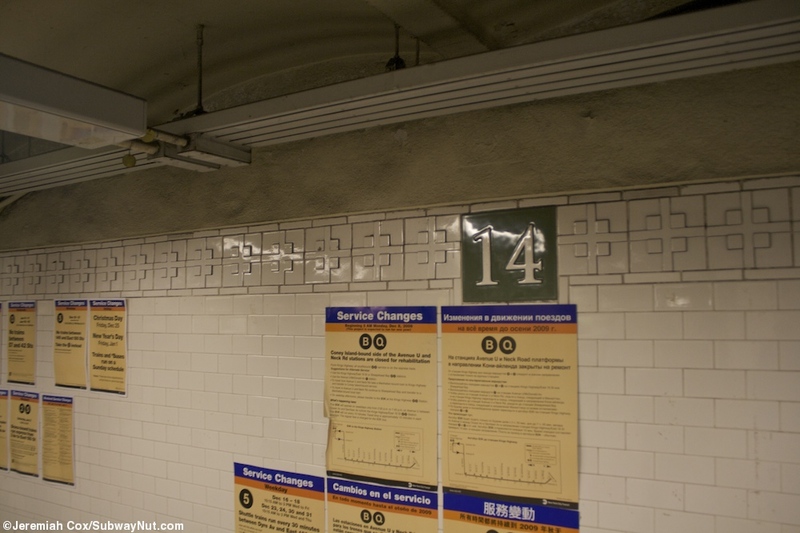 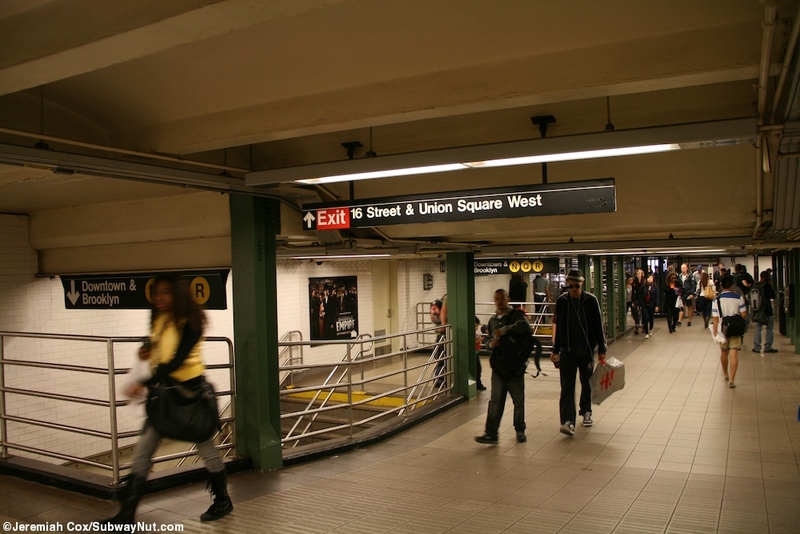 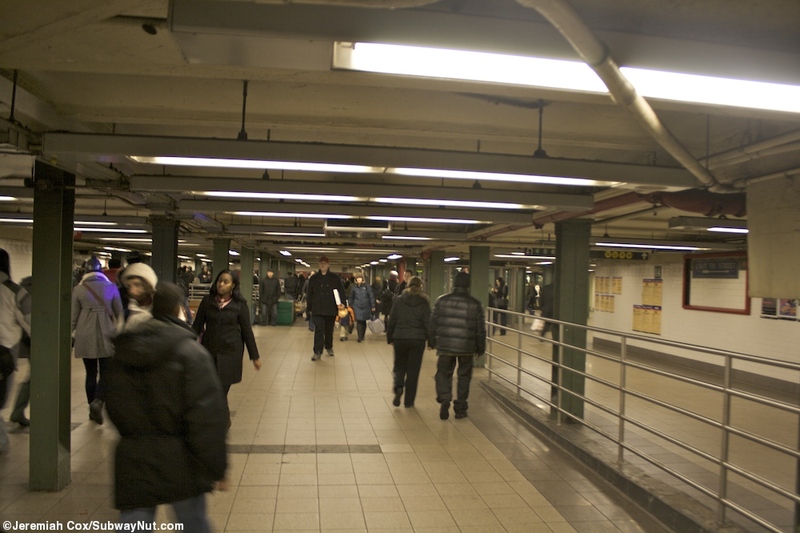 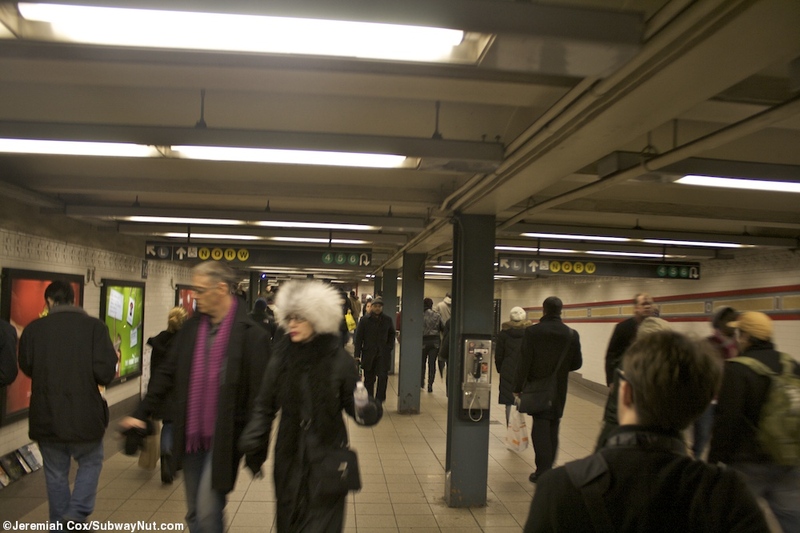 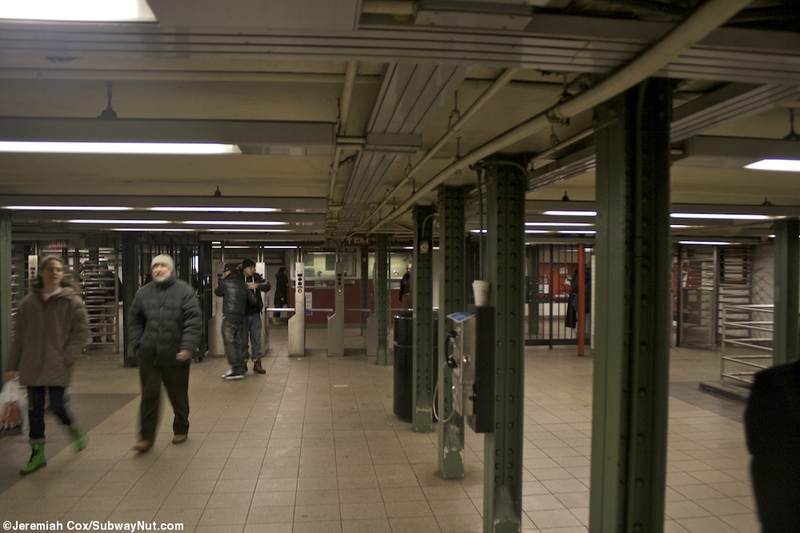 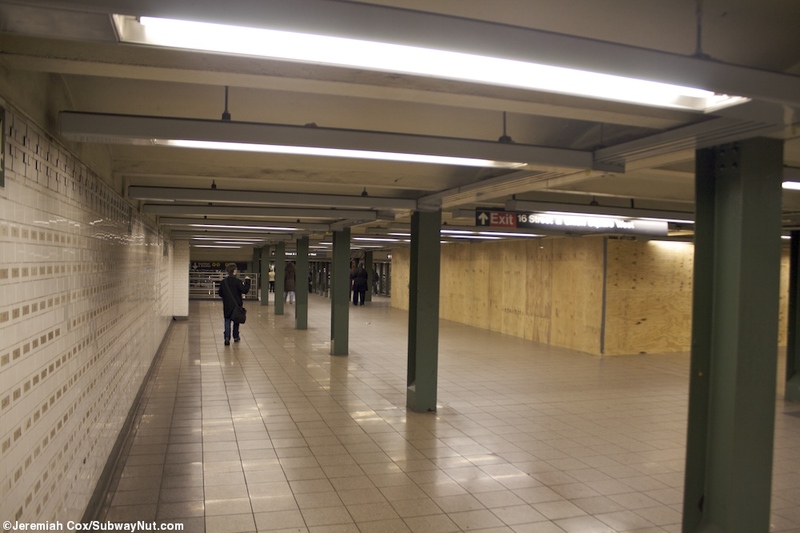 At the southern end of the mezzanine is a narrower passageway to the west side of it that connects to the L trains portion of the station (and the exit to two street stairs on the SW corner of Broadway and 14 Street). 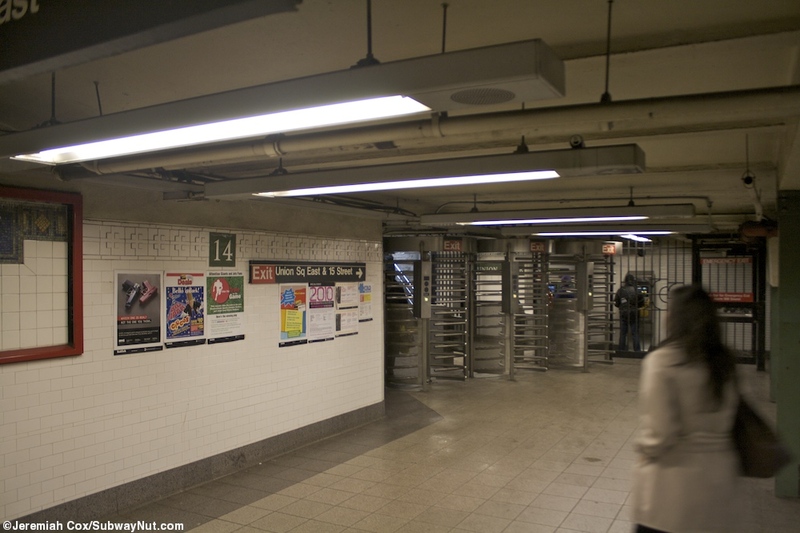 Along the east side of the mezzanine the 4,5 ends right into it with a nice wide opening and just north of this area high fare control equipment leads out to one of two of the wide plaza blue entrances in Union Square near Union Square East across from 15 Street. 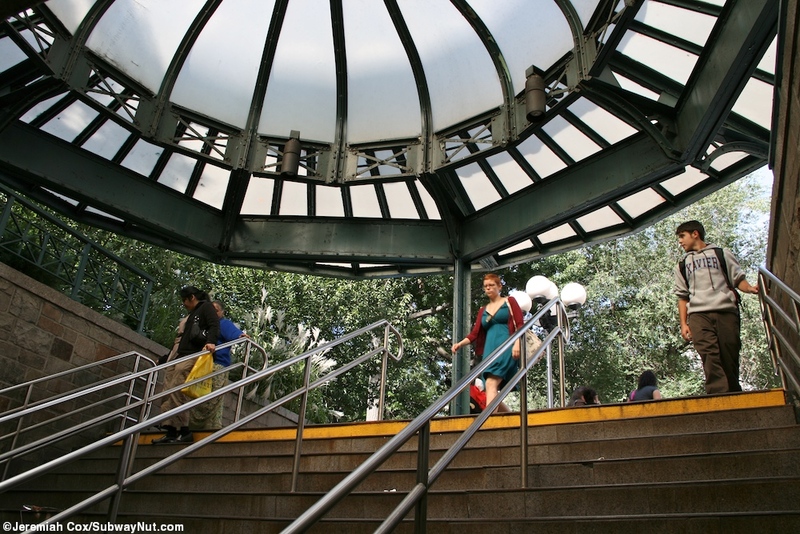 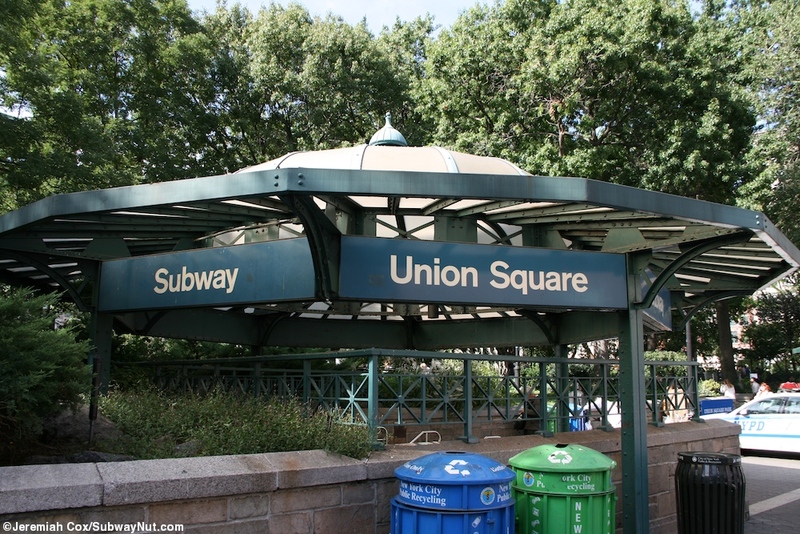 On the opposite side of the mezzanine is a wide bank of turnstiles and the other 1970s wide blue-canopied plaza entrance inside Union Square near the SW corner of the park. 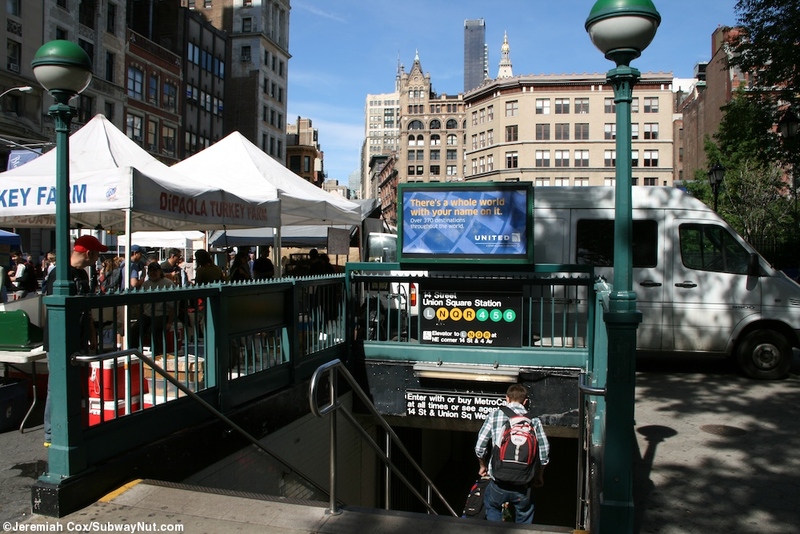 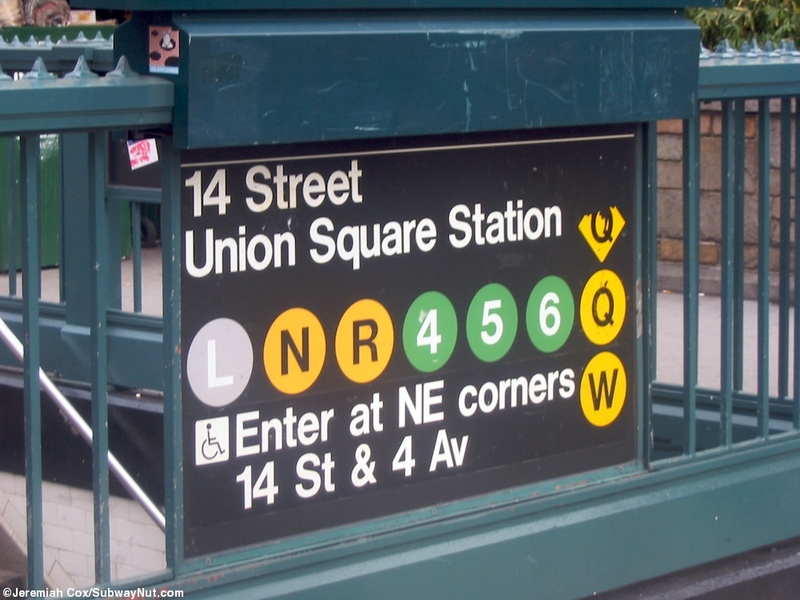 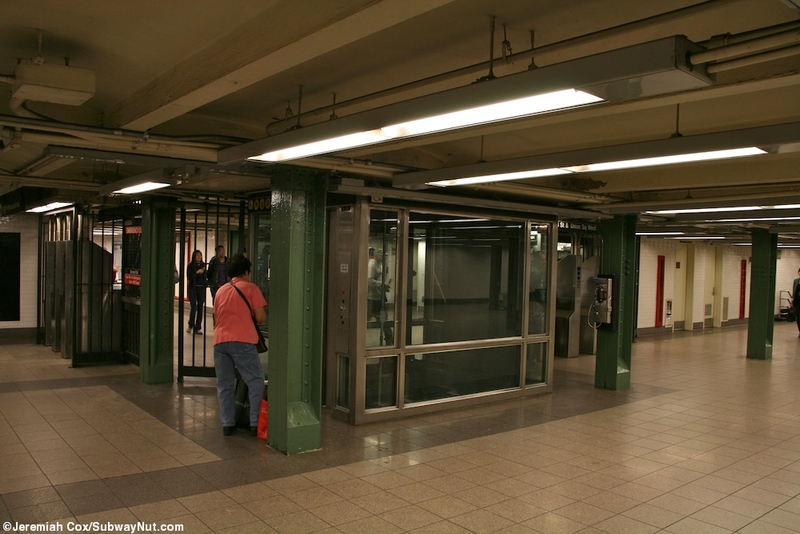 Here an elevator can be found down to each of the platforms (reaching the street by elevator requires going through the Lexington Avenue Line mezzanines although due to sharp curves those platforms are not accessible). 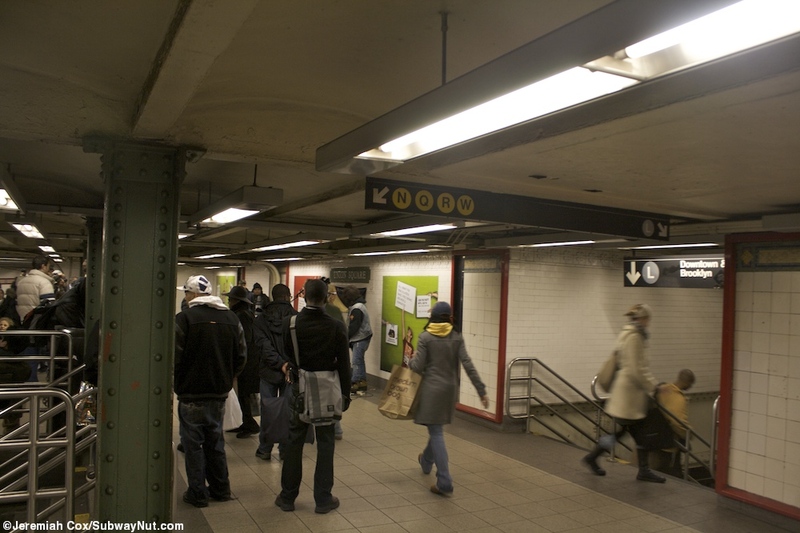 Beyond the two main entrances the mezzanine continues north above the platforms by the entrance to the Transit Police Station, getting narrower before ending above the northern end of the N,Q,R platforms with two staircases up from each just before both high and low turnstile equipment leading out to two street stairs nearby each other along the sidewalk of Union Square West on the square side of the street across from where 16 Street ends at it from the west.